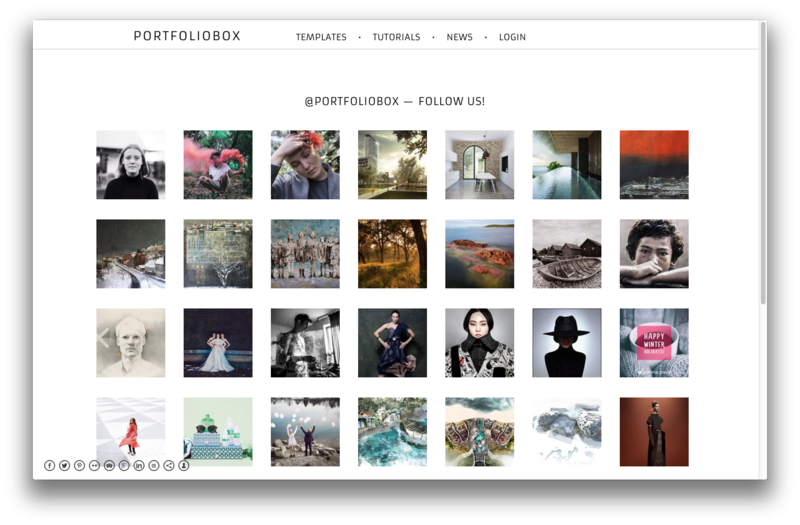 Did you know that you can display your instagram photos on your Portfoliobox site? Creating an Instagram page is an easy way of having fresh content on your site. 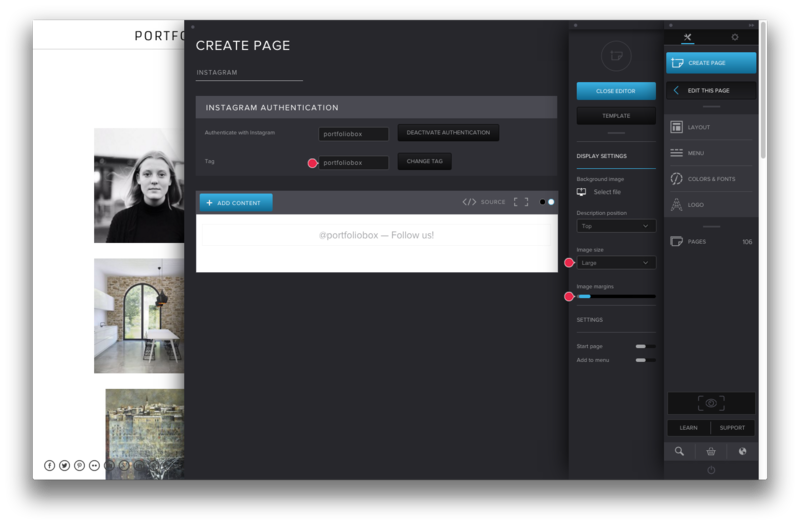 You just need to connect your Instagram account with your Portfoliobox site and each time you post an image with a specific tag, the image will also display on your Portfoliobox site. Easy, right? • Give the page a title, write a description (text is always good for SEO) and click on Login. You need to allow Pop up windows in order to use Instagram. You will be redirected to Instagram's login page. Fill in your information and log in. You can choose a tag for your photo. All the photos with this specific tag will display under your Instagram page. 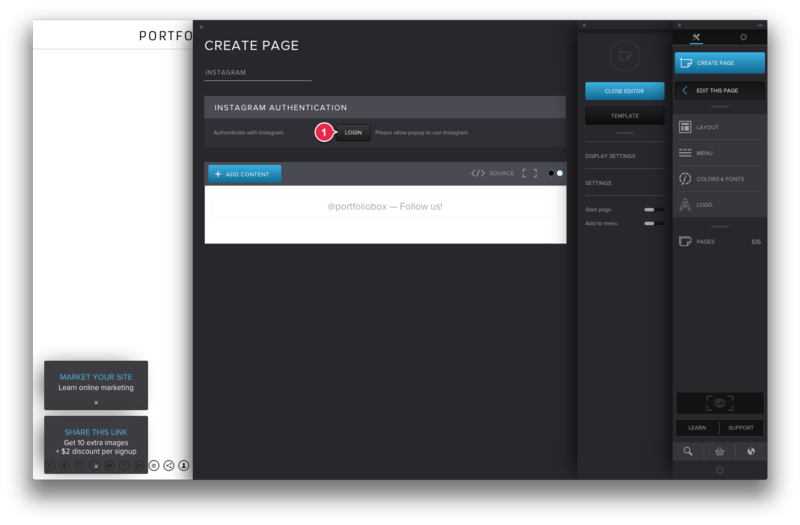 We chose the tag "portfoliobox". 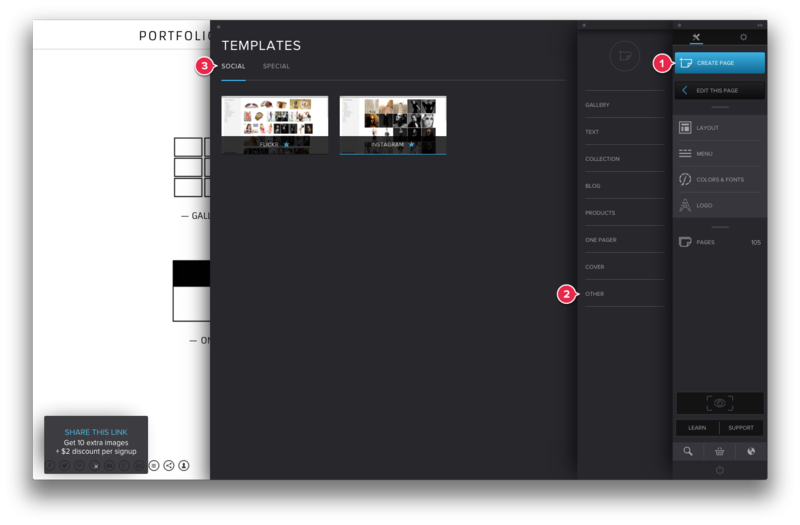 Under Display Settings, you can edit the image size and image margins.